Money, and how we interact with it, is changing rapidly. Digital financial services have seen a boom in recent years. With mobile money apps, e-wallets, and other tools flooding the market, customers can borrow, deposit, and pay more conveniently (and securely) than ever before. The global spread of digital money has also greatly increased access to financial products—and by extension, the formal economy—for many people who were previously excluded. With the help of low-cost mobile technology, financial service providers like banks, microfinance institutions, and mobile network operators can reach more underserved and low-income populations. Access can greatly improve the financial prospects of people traditionally reliant on costly alternative services. But challenges persist. An estimated 2.5 billion people around the world still don’t have access to a simple bank account. At the same time, many bank accounts are dormant or aren’t used in the way they were meant to be, especially by those with the least. To support financial service providers in Sub-Saharan Africa and South Asia, ideas42 launched a multi-year A/B testing initiative in 2016 to tackle difficult behavioral challenges around the adoption and usage of digital financial services. A/B testing is a quick and inexpensive way to test different versions of a product or service to see how small changes can have an outsized impact on consumer behavior. In essence, we choose different aspects of a digital financial product—like layout, content, marketing materials, and incentive schemes—for quick and rigorous testing on users. By comparing results, we can find out what works and what doesn’t for the target population. 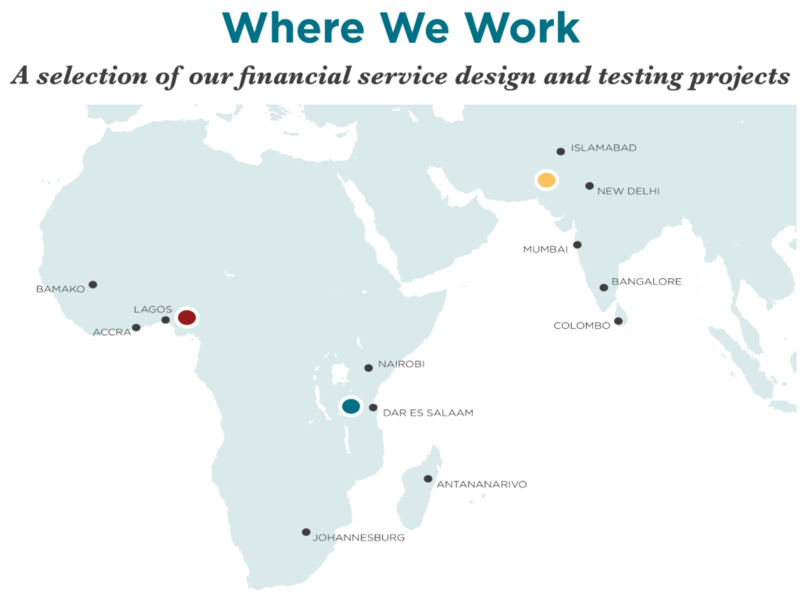 We will continue to work with financial service providers in Sub-Saharan Africa and South Asia in the adoption and use of A/B testing methodologies through 2021. Applying behavioral design and testing methods to existing digital financial services will enable us to improve existing customer outcomes and bring new customers into the financial inclusion fold.